The co-founder of Indonesia's Lion Air, one of two airlines that lost passengers and crew in recent crashes involving the 737 MAX, has lashed out at Boeing's handling of the accidents as the potential business fallout from the jet's grounding intensifies. Rusdi Kirana said a recent apology by Boeing over the 346 lives lost in the two disasters, firstly at Lion Air in October and then at Ethiopian Airlines last month, stood in contrast to what he viewed as hasty earlier criticism of Lion Air's pilots. In a telephone interview, Kirana also accused Boeing of treating him as a "piggy bank". Lion Air has spent tens of billions of dollars on plane orders with Boeing to become one of Asia's largest budget carriers. The Indonesian entrepreneur is the figurehead for what is now one of the planemaker's largest customers with 187 jets on order and 200 already delivered. 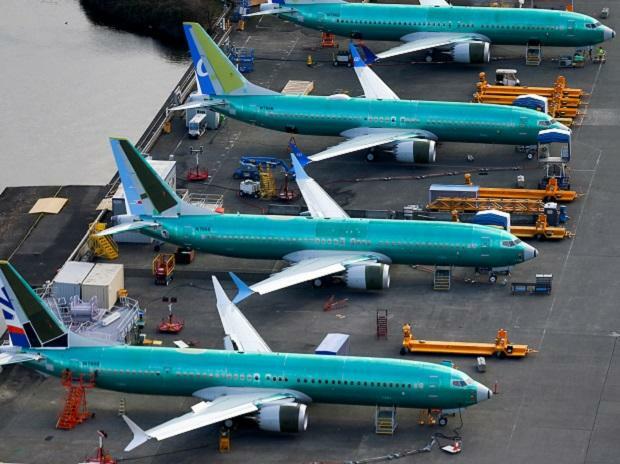 Boeing has embarked on a campaign following the two crashes to restore faith in its best-selling jet and pledged to remove any risk that anti-stall software, suspected of pushing the two planes downwards, could be activated by erroneous data. In November, following an interim report on the Lion Air crash, it voiced questions over whether pilots had used correct procedures. Kirana said the contrasting reactions demonstrated that Boeing was taking fast-growing carriers such as his for granted. "They look down on my airline and my country even though relations are always handled in a proper way. They treat us as Third World," Kirana told Reuters. "They also look down on me. They look at me as their piggy bank," he said in his first interview since the Ethiopian crash. Kirana's comments - by far the strongest since the crash off Indonesia on Oct 29 - underscore the depth of a recent rift between Boeing and Lion Air, which has been balking at taking delivery of Boeing jets worth $21 billion at list prices. "Rusdi Kirana has been a leader and a pioneer in Asian aviation," he said, adding that Kirana and his team "remain highly valued partners to Boeing". Although safety experts have raised some questions over crew performance in both crashes, the regulatory fallout has been dominated so far by questions over MCAS anti-stall software, which Boeing has acknowledged provided a common link in the separate chains of events leading to both crashes. Following the Lion Air crash, Boeing issued a statement listing three questions relating to pilot and maintenance actions that had not been addressed in a preliminary report. After a similar report on the Ethiopian crash, Boeing issued a sparser statement focusing on its ongoing software review. It has adopted an increasingly contrite tone as pressure grows over design decisions and its relations with U.S. regulators. Kirana said Boeing had shown inconsistencies in its responses to the two disasters. "(They) cast blame for the first one and apologise after the second," he said. Indonesia has 236 Boeing commercial passenger planes on order and operates the AH-64 Apache attack helicopter. Flag carrier Garuda joined Lion Air last month in threatening to cancel 49 MAX orders. Analysts have questioned how easily either airline can fund deliveries as competition grows and have cautioned that both face lengthy negotiations.